The level of miR-181a decreases rapidly in N2a cells following oxygen–glucose deprivation/reperfusion, but its role in this process is unclear. Reelin, a regulator of neuronal migration and synaptogenesis, is a predicted target of miR-181a. 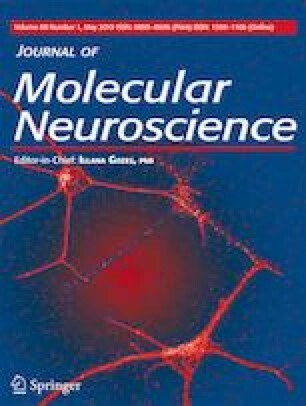 We hypothesized that miR-181a reduces neuronal apoptosis and protects neurons by targeting reelin. Second mitochondria-derived activator of caspases (Smac) is a protein located in mitochondria that regulates apoptosis. The pro-apoptotic effect of Smac is achieved by reversing the effects of apoptosis-inhibiting proteins (IAPs), particularly X-linked inhibitor of apoptosis (XIAP). We also evaluated the effect of miR-181a on the Smac/IAP signaling pathway after oxygen–glucose deprivation and reperfusion in N2a cells. The miR-181a level, apoptosis rate, and the levels of reelin mRNA and protein, Smac, and XIAP were assessed in N2a cells subjected to oxygen–glucose deprivation for 4 h and reperfusion for 0, 4, 12, or 24 h with/without an miR-181a mimic, or mismatched control. Direct targeting of reelin by miR-181a was assessed in vitro by dual luciferase assay and immunoblotting. Pre-treatment with miR-181a mimicked the increase in the miR-181a level in N2a cells after oxygen–glucose deprivation/reperfusion, resulting in a significant decrease in the apoptosis rate. Changes in the miR-181a level in N2a cells were inversely correlated with reelin protein expression. Direct targeting of the reelin 3′ untranslated region by miR-181a was verified by dual luciferase assay, which showed that miR-181a significantly inhibited luciferase activity. The Smac level was significantly lower in the miR-181a mimics than the normal control and mimics-cont groups (P < 0.01), whereas the level of XIAP was increased slightly. These findings suggest that miR-181a protects neurons from apoptosis by inhibiting reelin expression and regulating the Smac/IAP signaling pathway after oxygen–glucose deprivation/reperfusion injury. This study was supported by a grant from the Project of Health Department of Hunan Provincial Health Planning Commission (20180419).